I read this article and found it very interesting, thought it might be something for you. The article is called Right Here Right Now – Thisispopbaby and is located at https://www.totallydublin.ie/arts-culture/arts-culture-features/right-here-right-now-thisispopbaby/. What does it mean to be a citizen these days? Do we still think in those terms? Do we actively consider our entitlements and related responsibilities in a society we’re all collectively constructing as we go along? Is the role of ‘citizen’ obscured for some by a frenetic pace of life focused on career and self-fulfillment, or for others by lack of access to the rights of a citizen? Do we even all agree on what those rights are? As citizens who live in Dublin, we’re all implicated in what happens to and in our city. One of the most visible and crucial issues right now is housing, with a worsening homelessness crisis and the disappearance of affordable residential rental property. Against that background, a referendum on repealing the eighth amendment approaches while a former leisure resort on the edges of the city continues to house the stalled lives of refugees. Housing, home, bodily autonomy – issues that circle around the central idea of ‘ownership’. Ownership of land, ownership of bodies. Dublin, and Ireland, needs to put its house in order; decisions that are made about these issues now will cement values that steer our course for years to come. For this month’s St. Patrick’s Festival, irrepressible performance collective Thisispopbaby have curated Where We Live, a festival within the SP festival that vigorously gets to grips with these issues. The programme includes theatre, film, a talks series, installation, music and performance art – but more than the sum of those parts, Where We Live is a forum for a clash of ideas, a ‘Town Hall’ where urgent societal matters are hashed out. 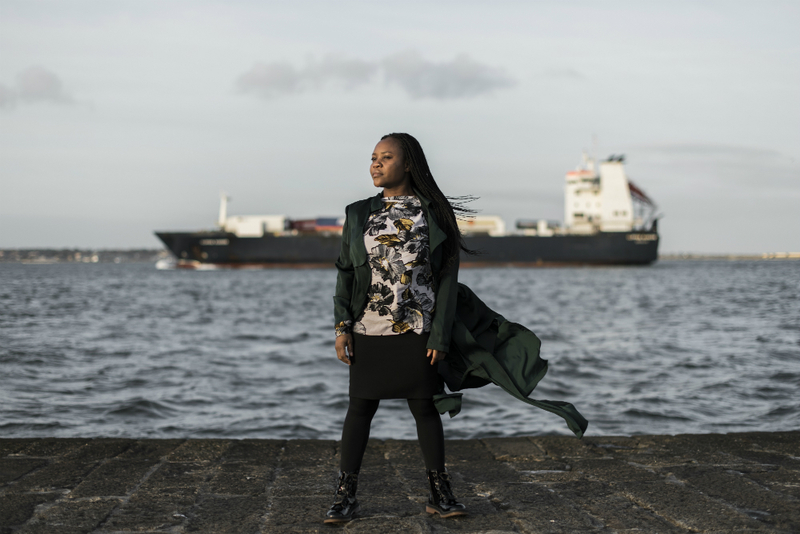 The work in the programme broaches topics such as abortion rights, the economy, migration, Direct Provision, nighttime culture and the forces that are shaping the development of the city, with a rich seam of raucous entertainment running through it all in trademark TIPB fashion. Thisispopbaby are known for recent shows RIOT and Panti’s High Heels in Low Places, both of which have stormed around the globe with sold-out performances. Founded by Philip McMahon and Jennifer Jennings eleven years ago, the company situate themselves ‘at the intersection of high art and trash culture’, with their roots firmly in Dublin’s clubbing scene. “Jenny and I met and came up on the clubbing scene in the 2000s and that cultural moment shaped our philosophy. That moment of joy and togetherness on the dance floor cannot be underestimated. We chose our family and our friends on the dance floor,” says Philip. Both Jennifer and Philip came to theatre through Dublin Youth Theatre, which Philip describes as ‘a great leveler of young people from all over Dublin’. “When we started eleven years ago, the aim was to kick down the door of theatre and open it up to people of our generation. Back then we felt the theatre was not reflecting our own lives or attracting people we hung around with.” One of the company’s proudest achievements since has been bringing 56% new attendees to the Abbey Theatre for their show Alice in Funderland. “Where We Live is our most socially engaged project to date – it’s an extension of our previous work, but also a departure. It feels like the city and the country needs its artists to engage in its politics more than ever,” says Phillip. I ask Philip and Jennifer if there’s a prevailing politics behind their work, work that places a strong emphasis on political engagement by way of a good night out. Jennifer: In terms of our values, we’re ferociously inclusive – we’ve always been really passionate about fairness and equality. Philip: We’re also very interested in the idea of active citizenship, how we can all contribute to the place we call home, Dublin. How we can encourage people to choose a creative life over constant consumerism. We’re constantly consuming this ferocious amount of junk… Our call to arms in a lot of work including RIOT is the idea of choosing creativity over consumerism, and community over individualism. 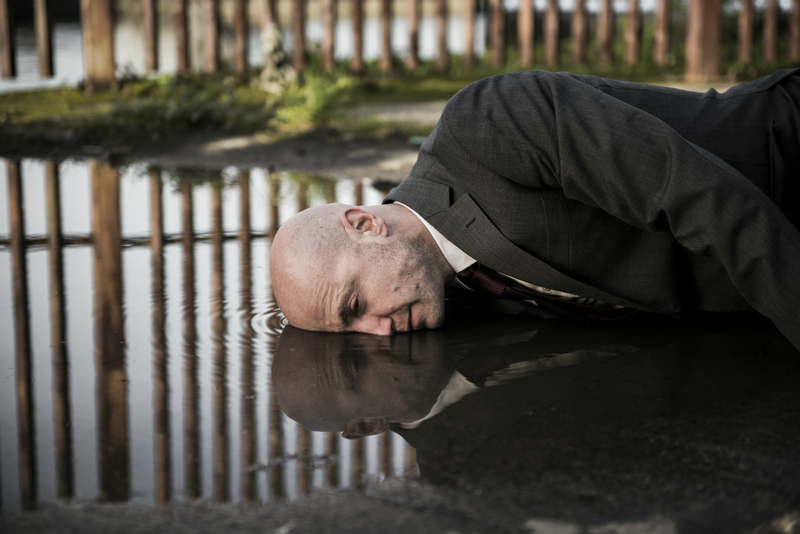 At the centre of the Where We Live programme are four works of theatre, each dealing with a topic close to the bone of Dublin’s moral conscience. Director Oonagh Murphy and composer Maeve Stone bring us The Mouth of a Shark, a theatre piece based around a song cycle. The bones of the song cycle are personal testimonies from migrants past (those who left Ireland) and present (asylum seekers arriving into Ireland), placed alongside each other to interrogate who gets to call where home. Speaking directly to the upcoming referendum, actor, comedian and activist Tara Flynn offers her personal account of travelling to England for an abortion with Not a Funny Word, an account tempered by music and humour. Meanwhile, looking to money’s role in shaping Irish society, actor and accountant Peter Daly delivers a wry performance lecture on the bail-out and what exactly is happening in our economic system. The piece is titled, well, Money. 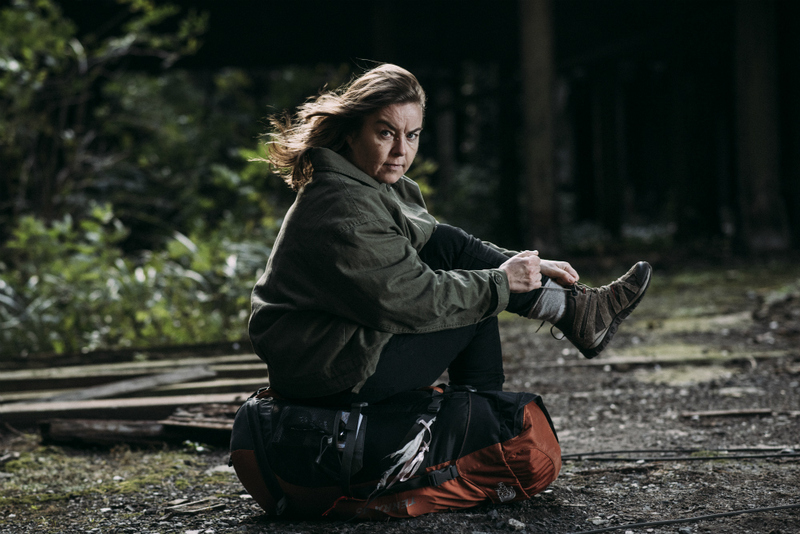 Finally, tackling the question of home head-on, performer Veronica Dyas presents her latest iteration of Here & Now (I live here now), a personal and humorous reflection on home, housing and ownership. The show charts Veronica’s experience of buying a home through the Shared Ownership Scheme at the age of 23, only to end up 100k in negative equity when the global financial crash hit in 2008. After walking the Camino de Santiago in an effort to gain some perspective on her life, Veronica returned to the home she didn’t really own and embarked on Project Downsize, asking herself what she needed to live ‘here and now’ and gifting most of her possessions to friends and family. Veronica grew up in the flats on Marrowbone Lane, off Cork Street. Her paternal grandparents lived originally in tenements before being ‘placed’ (Veronica emphasises the word) in Ballyfermot at the beginning of the ‘50s. Her parents left the flats in Marrowbone Lane after buying a private house with the help of the Surrender Grant scheme. Veronica has moved house plenty of times in her life, bouncing from social to private housing through the various social housing policies. Today, she’s trying to live a nomadic existence. While Veronica’s show in the Where We Live programme brings the audience face to face with the lived experience of housing policy in Ireland, the talks series will offer audiences the chance to hear from other experts and debate the issue themselves. 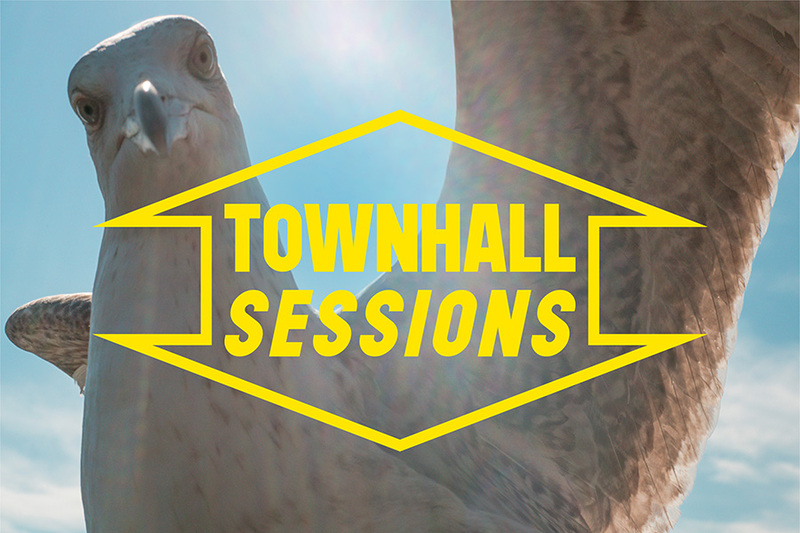 Curated by Willie White, Artistic Director of the Dublin Theatre Festival, the Townhall Sessions bring together diverse panels of speakers to get down to brass tacks about issues like nighttime counter-culture, the homelessness crisis, inclusivity in the city and gentrification. Speaking on the panel on homelessness will be Dáithí Downey, Head of Housing Policy, Research and Development at Dublin City Council, a man with the unenviable task of working to make Dublin a more affordable place to live and help end homelessness in the city. I ask Dáithí if he can point to what led us to the current situation, with people dying on our streets and record numbers of children and families living in emergency accommodation. Dáithí returns regularly to the idea of shifting the narrative around homelessness, changing perceptions of what that experience means. I wonder how you create that shift in the minds of people who wield the power to enact the policies he proposes. Where We Live runs in The Complex, Smithfield, from March 6 – 18th.